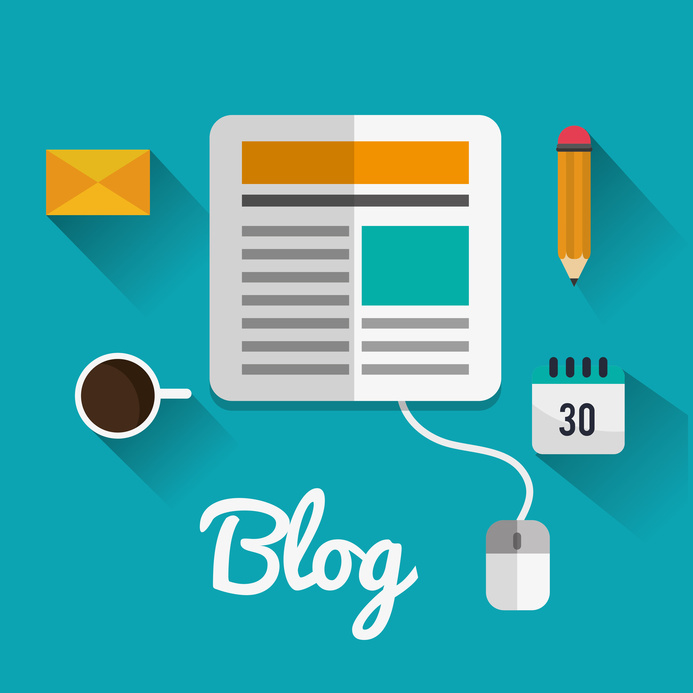 Your blog can be easily added as a new page. The blog page contains everything you need to get your creativity flowing. We created three blog posts to show you how to work with texts and give you a few ideas of what this new function offers. Anything from minimalistic articles to visually appealing blog posts full of images can be created as easily as anything else on your website. 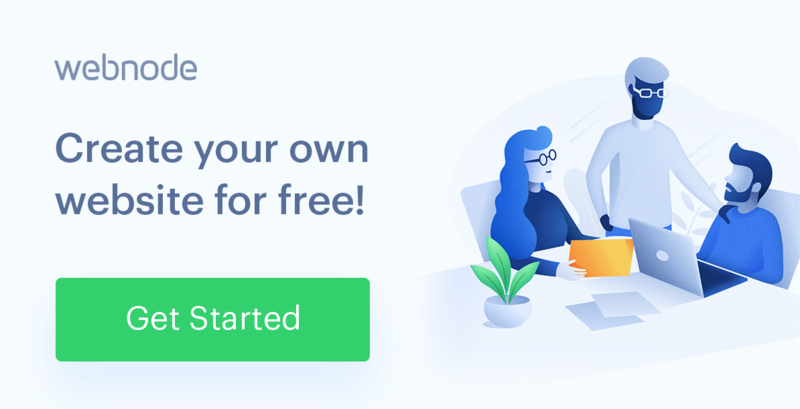 The first image you add to your post will serve as the cover photo in your list of posts so there is no need to upload or set up any special images. Managing basic SEO settings for each article and schedule the publishing date is a piece of cake. The management is very similar to the page settings of your website. 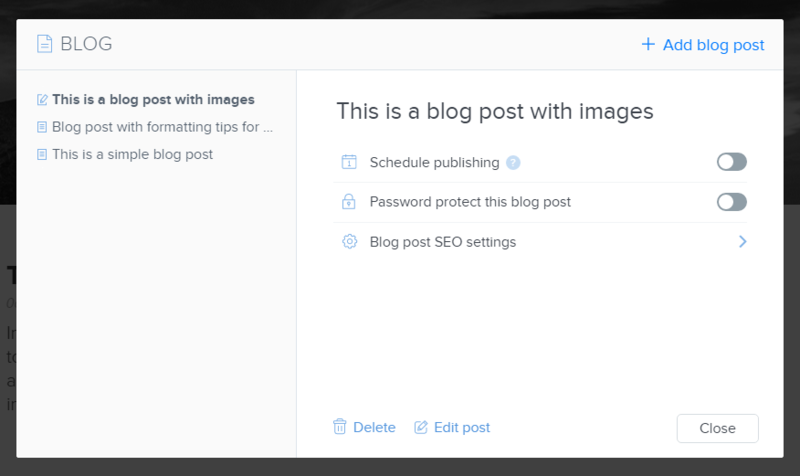 You can even add Facebook comments, sharing buttons or HTML codes in the blog settings. Once your first posts are ready to go, you can switch your focus from the literary to the artistic and decide how to display them on your website. You can choose from several layouts we prepared for you. Do you want to display only the title of each post? Or do you have amazing images in the posts that you would like to showcase? Try the various layout options on for size and choose the one that fits the style of your website the most. The blog page is not the only page where your articles will be visible. 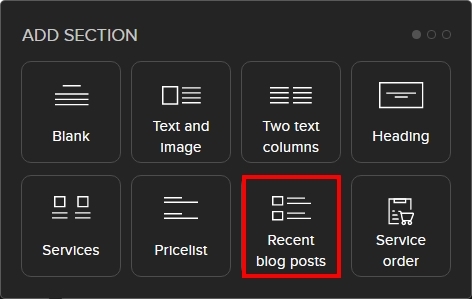 You are able to add a list of your recent posts to any page of your website. You can then change the layout of the list to fit the style of the page. Insert either a small content block to an existing section or add a special section with a catchy title. We know that the blogging function will make you happy and will help you take your website to the next level. If you are already using it, or if you would like to know more, let us know in the comments or on our Facebook page. P.S. : We are putting the finishing touches on a new set of templates designed especially for bloggers! Sounds good, but I don’t see anything about a blog in my editor so I can’t use it. Thank you for your kind words. Please take a look at the links to see if you are able get your blog to work on your website. If you are still not able to find it, please email us at support@webnode.com and we will be able to look directly at your website to help. Thanks, Michael – it’s PAGES, then Add Page, and then the blog template appears. Look forward to using this feature soon. I get it – PAGES, then + Add Page, and then I see the Blog template. I will explore the possibilities later – thanks for the link. Ciao a tutti. Ho necessità di assistenza per un dominio in privato. Thank you for contacting Webnode with your question. Please send an email to our Italian support team at support@webnode.it. 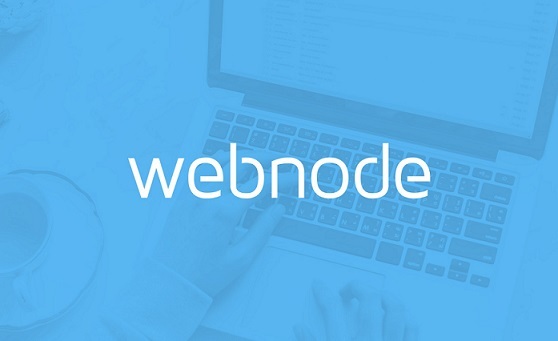 Please send us an email to support@webnode.com and we will be able to look into your issue more. we are very sorry, but even after double check we couldn’t find an e-mail from you. Did you receive at least the message with “ticket ID”? If so, you can share it here, otherwise please try again. If you intend MODERATION, it will cost you like I’ve said..
Hi, I created a Blog page and am wondering how I can set it up to allow people to comment.